LulaRoe is a family-run business based out of Los Angeles that provides a revolutionary clothing line for women and children. I have to say this clothing line has been taking fashionable and functional to the next level. I’ve been really into maxi skirts lately. I am not sure if it’s because I am kind of sick of wearing shorts or that maxis make me feel cute without cringing every time I try to function. When I was a teacher, I wore them more often to add a little more whimsy to my wisdom-sharing. 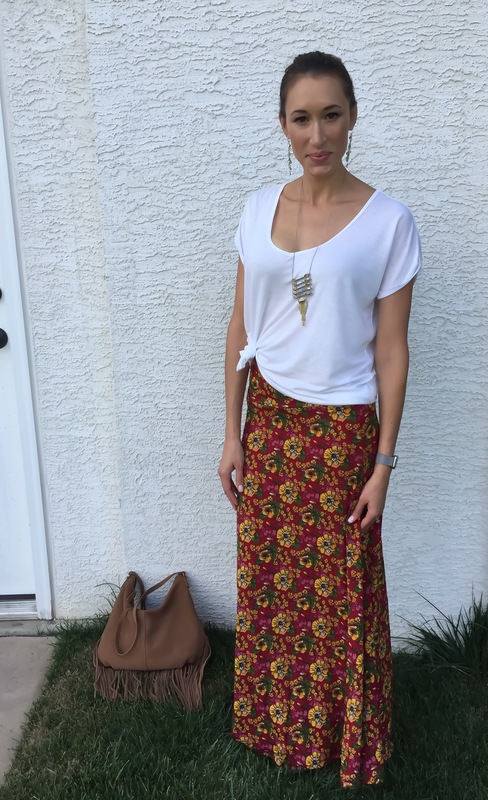 I wish I would have been able to wear LuLaRoe maxi skirts when I was teaching! LulaRoe wasn’t founded until late spring of 2013, and I was only in the classroom until December of that year, when I began my maternity leave. I didn’t even know LuLaRoe existed. 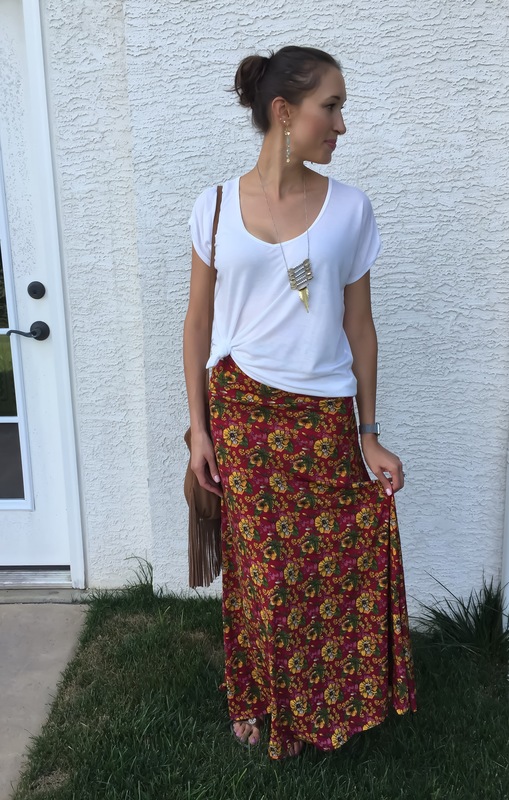 Read on to learn about the most comfortable maxi skirt I have ever worn. 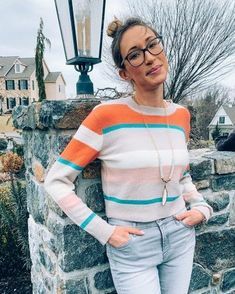 Clothing items include highly functional maxi, pencil, and a-line skirts, as well as dresses, tops, and leggings in patterns ranging from classic to quirky. The company is constantly designing and releasing new styles, patterns, and fabrics. The fabrics contain a small amount of nylon, which is a big contributor to the extreme functionality of each item. Readjusting was limited and comfort was limitless. There wasn’t one little ounce of static cling, which I have found to be the case in your average maxi skirt brands. How can you get your hands on some LuLaRoe goodness? 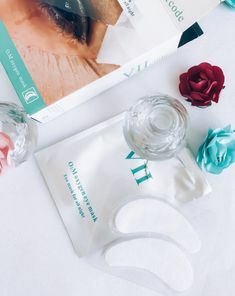 Although the company is based out of L.A., its consultants are endlessly networking to reach the public with the goal of providing others with the joy of owning comfortable, stylish clothing. LuLaRoe products are not sold in stores, in catalogs, or websites, but rather directly from LuLaRoe consultants via in-home pop-up boutiques, through Facebook groups online, and during live sale events on Facebook and Periscope. Items move quickly because there are limited amounts of prints and fabrics– New ones are constantly being developed! Who are Jackie and Barb? Jackie and Barb are a best friend team from NJ who have always struggled with finding affordable, fashionable clothing that was functional for their curvy bodies. 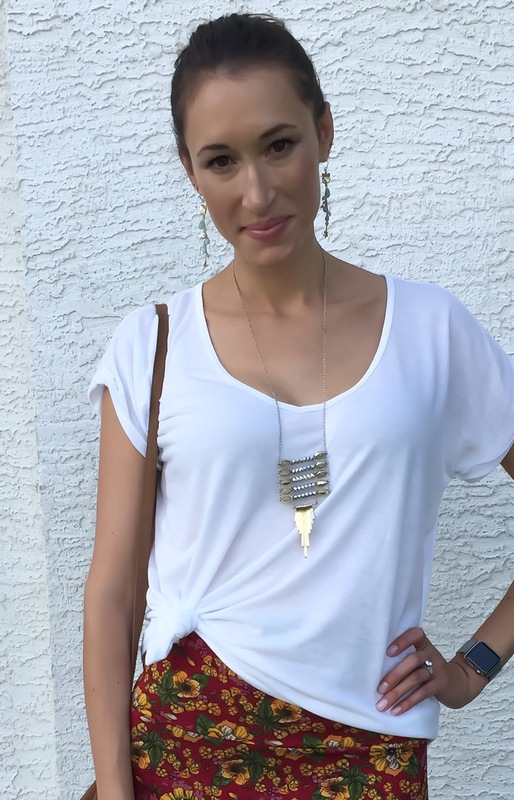 They first discovered LuLaRoe in April of this year and were instantly hooked! They were stunned, wondering where LuLaRoe products had been all their lives! (As do I. I am a loony for leggings all winter long, so I can’t wait to get my legs in them! Buh-bye to basic black everyday.) They began consulting for LuLaRoe this past July, not only because they love the clothes, but because they want to empower women. They want to inspire and show that while its not easy, it is not impossible to run a small, successful business while raising children. And they want to have fun doing it! That’s whats up in fashionable and functional style today. I hope you enjoyed my outfit and learning about LuLaRoe. 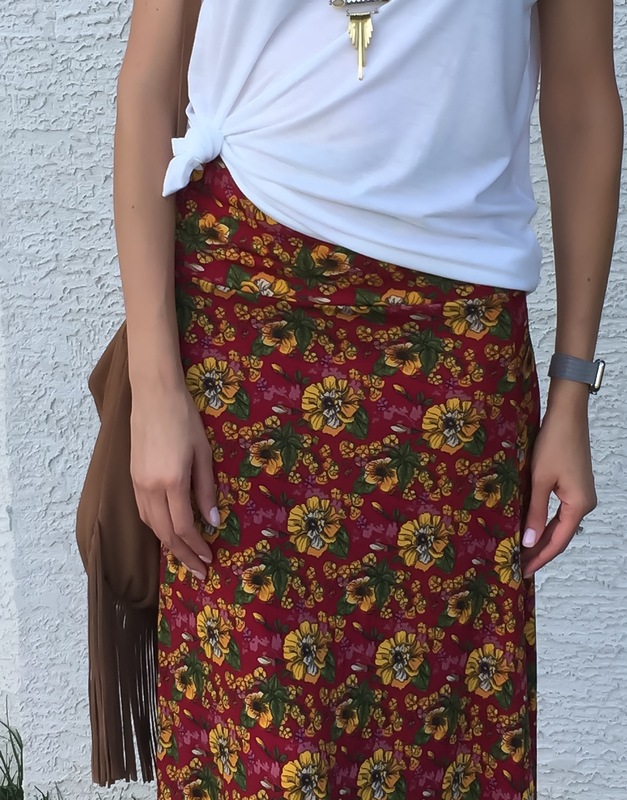 How would you have styled this skirt?? How cute are these colors and prints?! Love the look you have. I also like the pic with the shopping group. Looks, like a ton of fun was had. Thank you, for reading my blog posts. I appreciate it. I like your blog as well. My pleasure! Thanks again for the wonderful skirt. 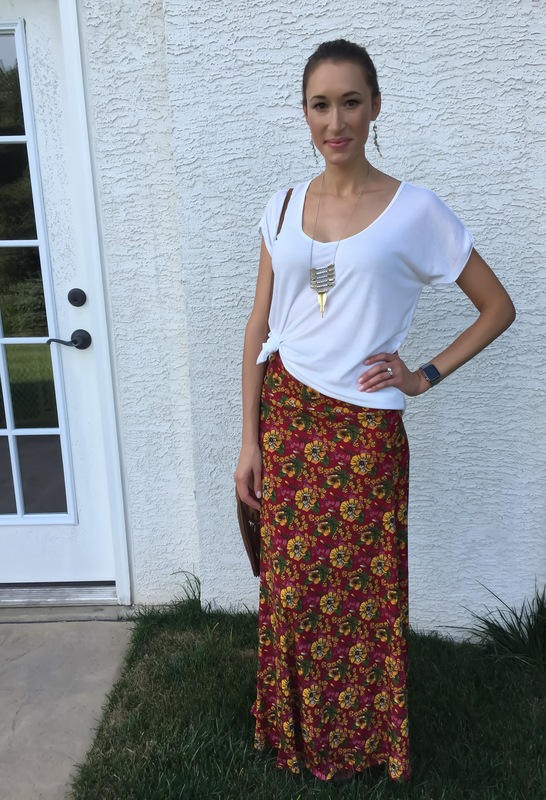 I had no idea that Lularoe had maxi skirts! What! that is a game changer!!!! your outfit is so darn cute down the to necklace!!! 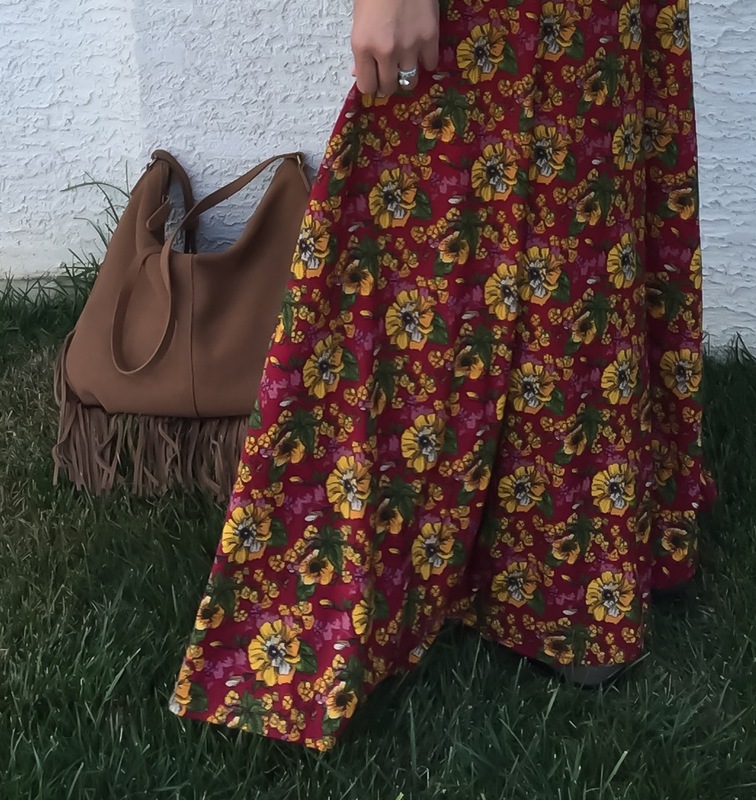 What is the price range for a lularoe maxi about?